Your rights won’t protect themselves. That’s the unfortunate reality of today’s legal climate. Insurance companies, employers, governments, and other giant organizations routinely mistreat individuals in New Jersey, causing them hardship and refusing to pay the price for it. We can help with that. The Ocean County injury lawyers at Gale & Laughlin, LLP have spent several decades helping the people of New Jersey fight for justice — even when there’s an enormous corporation or governmental agency on the other side. No case is too big or small, and no injured person is turned away because he or she can’t afford to hire a lawyer. First and foremost, we are problem solvers. Often, the principal problem at hand is that you’ve experienced some kind of hardship or loss and you need to be compensated. Our solution is simple: aggressively pursuing the largest possible amount of financial relief for you and your family. We achieve that by being thorough and passionate, and by leveraging the strategies we’ve developed over our many years as dedicated Ocean County lawyers. At Gale & Laughlin, LLP, our Ocean County lawyers are committed to making a real difference in your case. Contact us today to learn more. We recognize that you have a choice in who represents you in your fight for justice. Our attorneys consider the opportunity to defend your rights a true honor, and we’ll do everything we can to achieve the best possible outcome in your case. Our clients are more than just a file number to us. That isn’t true in larger law firms. We offer Free personal injury consultations in person, by phone, or online. The lawyers here will actually listen to you — carefully and attentively. Our advice is honest, strategic, and effective. We won’t rush you or judge you. We fight for each case as if it happened to us. Over the course of many years, we’ve built a reputation for zealous advocacy. We offer a strong record of results. You don’t pay us unless we recover money for you. 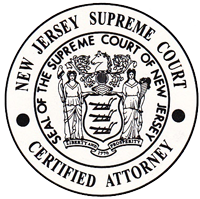 If you’ve been hurt in a personal injury accident in New Jersey, you might be interested in our record of results. We are proud of our achievements, and we believe our success speaks for itself. Naturally, every situation is different, and the outcome in your case will depend on the facts and circumstances of your injury. But we want you to know that we take personal injury litigation seriously. We know how to litigate, we know how to try these cases in court, and we know how to get our clients the money they deserve. We bring the same kind of passion to our work outside the personal injury context too. Whether you’re facing a property dispute, criminal charge, divorce proceeding, or any other legal challenge, our experienced Ocean County lawyers can help. To get started, please call us at (732) 264-6000 — or simply complete our online contact form to schedule a free personal injury case review. If it’s easier for you, we also invite you to stop by our office, conveniently located in Hazlet, NJ. Don’t settle for less than you deserve. Contact us today.